After over two years of internet-fueled hype and fast-paced construction, erratic billionaire Elon Musk has unveiled a prototype tunnel outside Los Angeles that aims to test his far-fetched vision for a new urban transportation network below the region’s notoriously traffic-choked streets. The so-called Loop project is envisioned as a series of tunnels that could ferry private automobiles, and pods carrying pedestrians and bicyclists at speeds approaching 150 miles per hour. The tunnels, accessible from a network of parking spot-sized lifts, could eventually connect the city’s major landmarks and neighborhoods, according to a preliminary map unveiled last year. The Boring Company–backed test tunnel took shape beneath a neighborhood sandwiched between a municipal airport and Interstate 110 in Hawthrone, California, where several of Musk’s companies are headquartered. Although the test tunnel debuted with several key design changes—including the elimination of so-called “skate” platforms that private automobiles would ride on and actual travel speeds that barely approached 50 miles per hour—the bumpy debut was met with cautious optimism by observers, according to The Los Angeles Times. With a reported cost of about $40 million, the roughly mile-long test tunnel was built for a fraction of the cost of conventional subway technologies, though that is not exactly an apples-to-apples comparison, given the tube’s diminutive size relative to conventional transit routes, the fact that it was not built with unionized labor, and its overall reduced passenger capacity. 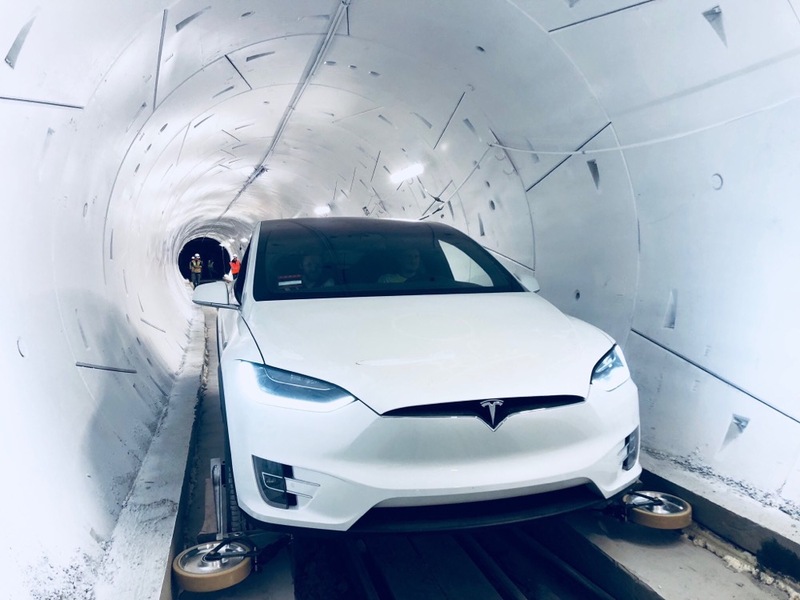 The opening of the test tunnel follows the high-profile setback for Musk’s plan to build a second tube underneath the streets of the City of Los Angeles that came last month. The Boring Company is also working on a tunnel that would connect downtown Chicago with O’Hare Airport as well as a more modest loop that could potentially link L.A.’s existing subway system with Dodger Stadium.